As one of the leading suppliers in America for intermittent catheters and ostomy products, 180 Medical makes it a goal to seek out and hire people who truly have a compassionate heart and want to help others. If you’re seeking a career where you can actually enjoy going to work, and you want to be rewarded and fulfilled by what you do, day in and day out, you should consider applying for one of our available jobs. What are just a few of the reasons to work at 180 Medical? We offer a competitive benefits package, extensive training, opportunities for growth within the company, and many fun extras and perks. We were also named one of the Best Places to Work in Oklahoma for the 8th year in 2017. Now, we want to introduce you to one of our employees who has been with us for two years now. Today, meet Christa, one of our team of awesome Documentation Specialists. What are some of your daily tasks as a Documentation Specialist at 180 Medical? When we receive over new referrals from a facility or when a customer is ready to start getting their orders through 180 Medical, we want to do our part in assisting the customer by making sure their insurance will cover their required medical supplies. Often, I’m the first person to contact them to confirm their insurance information before getting their coverage verified. Because the products we supply usually require a prescription, I’m also responsible for making sure we have a good prescription on file from their doctor. I also make sure we have all of the proper documentation that we might need, such as additional progress notes, depending on the customer’s insurance requirements. What is the best part of working at 180 Medical for you? Well, in a lot of ways, it helped me step outside of my comfort zone. Before 180 Medical, I have mostly worked at small companies with less than 10 people. This was a nice change. But more than anything else, getting to help people on a daily basis is the most rewarding thing. I also love my co-workers, and I feel that I have made some great friends. Our quarterly meetings are always fun, and I also love that we have opportunities for other fun activities. 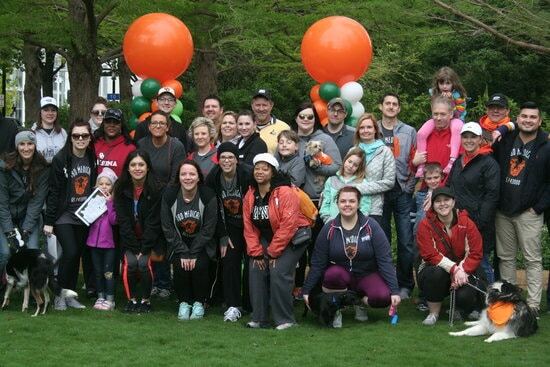 My family and I had a blast at the Family Movie Night last summer, and we also really enjoyed getting to participate in the annual MS Walk. Tell us a little bit more about life outside of work. What do you love to do in your downtime? Something fun people might not know about me is that I really enjoy refinishing old furniture that has been passed down in my family. I make wooden signs with quotes by hand too. Lately, I’ve been coloring almost every night. It’s very relaxing! I’ve been married for 12 years! We have a daughter who is almost 15 and a son who is almost 11 now. We love doing anything outdoors together, whether that’s going camping, going to the lake and spending time at our lake house, or just playing catch in the backyard. It doesn’t matter what we’re doing; we just love being together outside! What’s something special on your bucket list? I only had one thing on my bucket list, and I got to cross that off when I finally saw Garth Brooks live in concert! Now, I’m trying to figure out what else to put on it. I’ve always wanted to see the Rocky Horror Picture Show live. What’s an accomplishment that you’re most proud of at 180 Medical? Being awarded as one of the Top Team Performers recently at a quarterly meeting! What’s a quote that keeps you inspired? “Love is forgiveness.” This is also the tattoo I have on my arm. Lastly, what advice would you give to someone who wants to apply for a job with 180 Medical? Do it!! Not only are you helping people be able to live their daily lives, but I have never worked with a better company. Christa, thank you so much for taking time to talk. We’re so grateful for you and the awesome team of Documentation Specialists here at 180 Medical. Are you interested in becoming a part of the 180 Medical family? Don’t wait! Apply today.